Have you seen a home online that just looked absolutely perfect? You were so excited you jumped in the car and drove by the home. As you approached the home, you couldn’t help but notice a massive power line utility pole right smack in the front yard. I’m not talking just a telephone looking pole, but the kind that carries so much electricity you hear it buzzing. 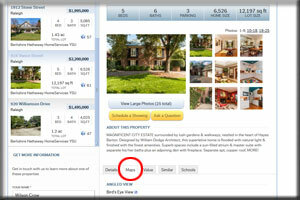 So, you drive away cursing the listing agent for strategically not showing that in the photo. 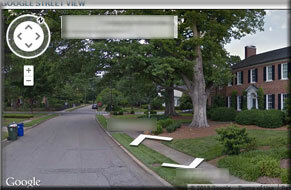 Well, google wasn’t so strategic when it created its ‘Street View’ of every home. To really see what the home and street look like, check out a 360 degree view with ‘Google Street View’. If you are unable to do the ‘slow creep’ drive by, this is a great tool to get a feel for the street and neigbhorood. If you do not live in the Raleigh area and are not familiar with the area, this is an easy way to get a feel for the area. Not to mention, you can see how the next door neighbors’ homes look, determine if the home is on a busy street, etc. Give it a look next time! Congrats, you are now a ‘pro’ online home ‘stalker’! I hope you enjoyed some of my favorite tips. Please write me with any questions on these tips or suggestions you may have.